There will be a Knights of Columbus rosary service held at the church at 7:45pm on Thursday evening. Visitation will also be held at the church, on Friday, from 10am until time of service. RALPH J. SMRECEK, SR., age 80, of Greenwood, passed away at the Marshfield Medical Center on Wednesday, November 21, 2018. Funeral services will be held at 11am on Friday, November 30, 2018 at St. Mary's Catholic Church, in Greenwood. Rev. Leo Stanislaus will officiate, and burial will follow in Holy Family Catholic Cemetery in Willard. Pallbearers will be Ken Smith, Luke Smith, Doug Hills, Kade Smrecek, Dale Smrecek and Chris Huettl. Visitation will be held at St. Mary's Catholic Church on Thursday, November 29, 2018 from 4pm to 8pm, with a 7:45pm Knights of Columbus rosary service. Visitation will also be held at the church, on Friday, from 10am until time of service. Ralph John Smrecek was born on April 14, 1938 in Willard, WI, to John and Eva (Pietka) Smrecek. He was raised on the family farm, received his education in the Willard area, and graduated from Greenwood High School in 1956. After high school, Ralph worked on the family farm until he was united in marriage to Patricia Ann Steponik on August 10, 1963 at Holy Family Catholic Church in Willard. He took over operating the farm until 1978, at which time they bought a farm in the Town of Warner, rural Greenwood. His wife, Pat, died on April 18, 2001. He continued living on the farm until selling it to his son, Ralph, in 2002, and building a home adjacent to the farm. Ralph married Betty Hills on October 16, 2004 at St. Anthony's Catholic Church in Loyal. He lived in his home until the time of his death. He was a member of St. Mary's Catholic Church and the Knights of Columbus Lady of Fatima Council #4963. Ralph had many interests, but especially enjoyed playing cards, going to the casino, metal detecting for old coins, Polka music, playing the accordion, restoring old tractors, wood working, viewing wildlife from his shack, hunting and fishing. He also enjoyed traveling and some of his destinations included, Alaska, Mexico, Ireland, Niagara Falls, the Rocky Mountains, Arizona, Florida, the Grand Canyon, Las Vegas, Washington D.C. and Texas. 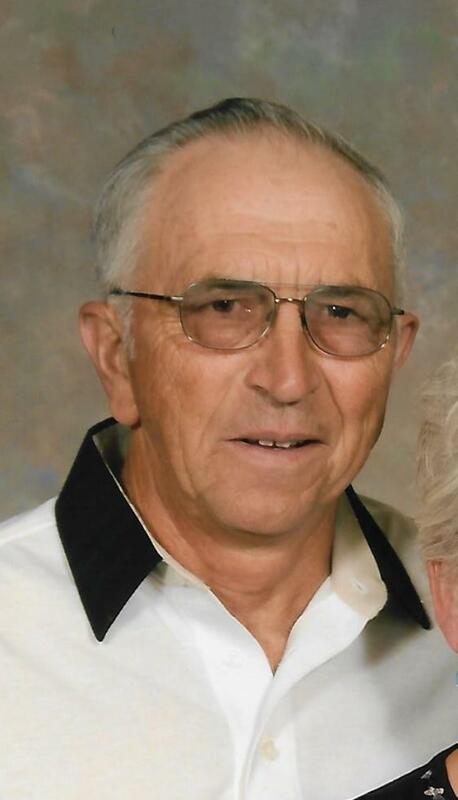 He will be dearly missed by his wife, Betty, of Greenwood; his 4 sons: Ralph Jr. (Vicki) of Greenwood, Jeff (fiance Chris Schroeder) of Janesville, Tim of Eau Claire, and Jon (Brooke) of Elk Mound; 8 grandchildren: Katelyn, Ashley, Kade, Kellie, Kayln, Karlye, Tessa, and Haddie; 4 step children: Shari (Ken) Smith of Willard, Amy Kowald of Kimberly, Doug (Nina) Hills of Fitchburg, and Joe (Lisa) Hills of Waupaca; 14 step grandchildren; 17 step great-grandchildren; one brother: Tom (Marlene) of Victoria, MN, one sister: Mary Ann (Chuck) Brinkman of Marshfield; several nieces, nephews, other relatives and friends. Ralph was preceded in death by his parents; his wife, Patricia; 2 brothers: John and Daniel Smrecek; and 4 sisters: Josephine Hansen, Wilma Flaherty, Margaret Fildes, and Theresa Fries.